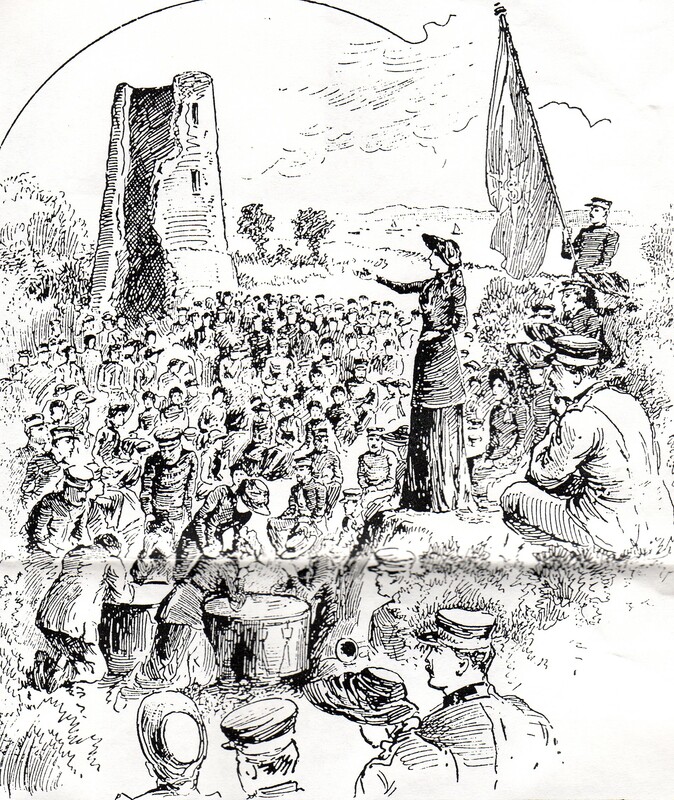 In 1891 Park Farm was sold to William Booth, the first General of the Salvation Army, it was one of three farms originally purchased to put into practice the vision in his book In Darkest England and the Way Out. Buying farmland in this part of Essex was to be the fulfilment of the second part of his scheme to deal with the appalling social problems caused by extreme poverty and long-term unemployment. 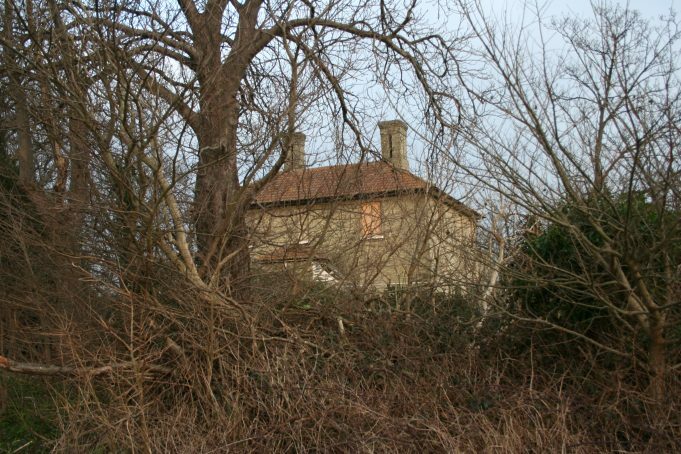 The farmhouse was referred to in the 1896 London periodical as a boarding establishment in the middle of the fruit and vegetable gardens. Visiting Salvation Army officers would stay there but it was open to all visitors for bed and breakfast accommodation. 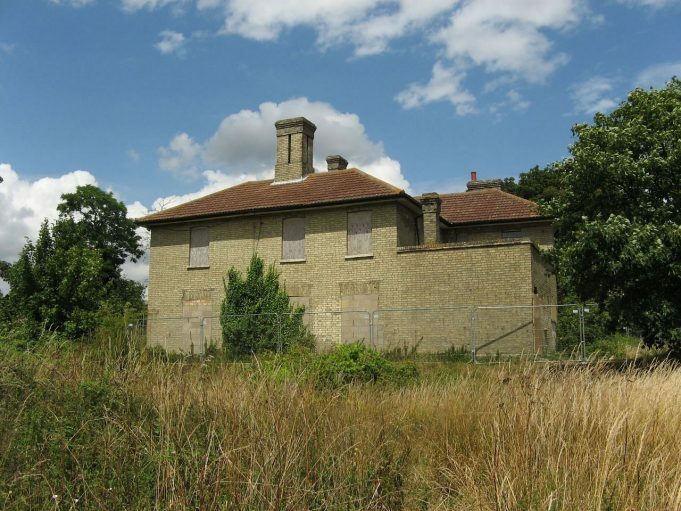 The property became the residence of the Colony’s Governor and later it was divided into two flats and is a listed building. 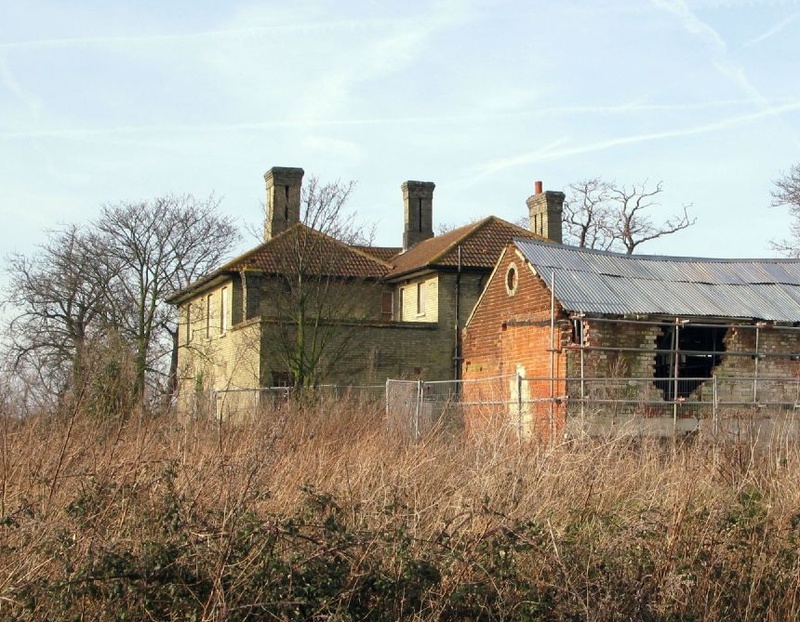 It’s worth noting that when William Booth purchased this farm he had also purchased Hadleigh Castle too. For some time now Park Farm house has been unoccupied, neglected and subject to much vandalism and it is a relief that this lovely old building is having a new lease of life. The Salvation Army has transformed the building into an extension of their Training Centre for people with special needs. Planning permission was sought in 2011 to convert the farmhouse and out-buildings for a variety of programmes. In June 2011, the local press reported the good news that Castle Point Council had given the ‘thumbs up’ to the plans but a wildlife survey had to be carried out as the land borders Hadleigh Country Park. 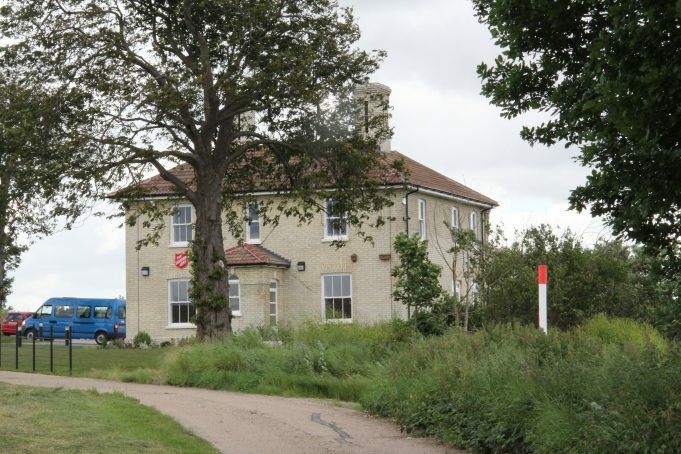 On the 29th June 2012, the refurbished building was officially opened by Colonel David Hinton the Chief Secretary of the Salvation Army in the UK and what a beautiful building it now is, with breathtaking views over the Thames Estuary and Hadleigh Castle. The ceremony was attended by members of Castle Point District Council, The Mayor and Rebecca Harris, Conservative MP. 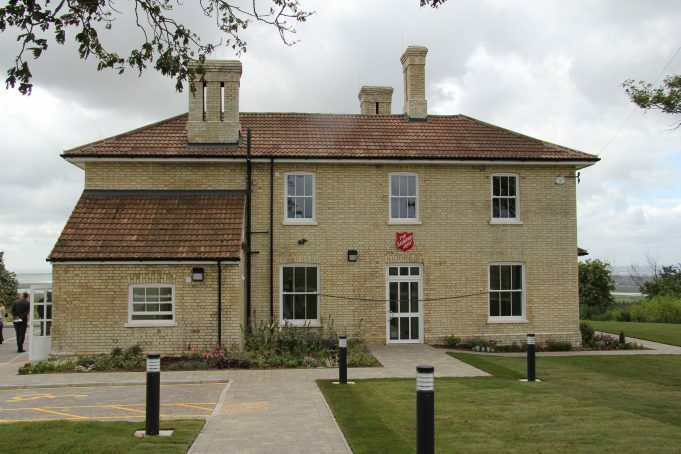 In the financial statement which was read out, it was noted how extremely grateful the Salvation Army was in receiving substantial legacies which accounted for around 85% of the £910K cost to refurbish the building. The horticultural unit, where trainees can grow plants, flowers, fruit and vegetables, will locate there, moving from the existing area and the building will offer weekend spiritual retreats. The Training Centre provides employment and life skills for a wide range of vulnerable adults, including those with learning difficulties, mental health problems or recovering from serious illness. It’s about getting people back to work and improving their self confidence, this new extension will allow the centre to improve the standards of its facilities and possibly create a small number of new jobs. The architects are UKBS based in Leigh-on-Sea and the builder A W Hardy and Sons. 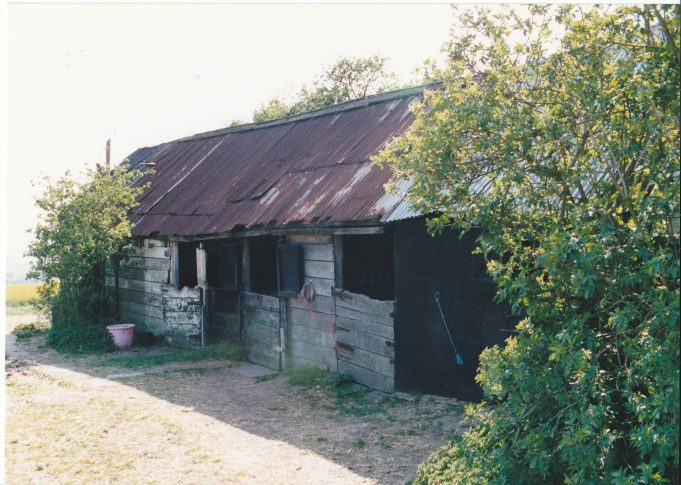 Another photo of the original out buildings. Park Farm entrance 2012, facing North. The new look Park Farm as seen from Mount Zion. 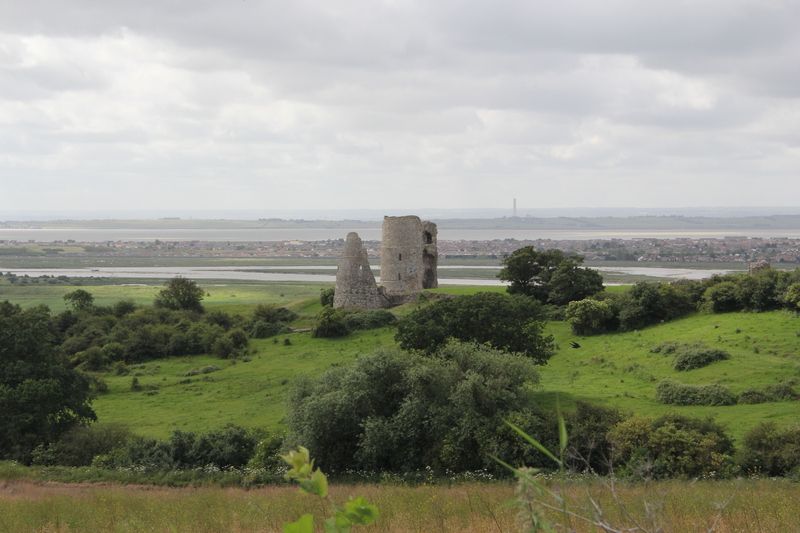 Stunning view of Hadleigh Castle from Park Farm. 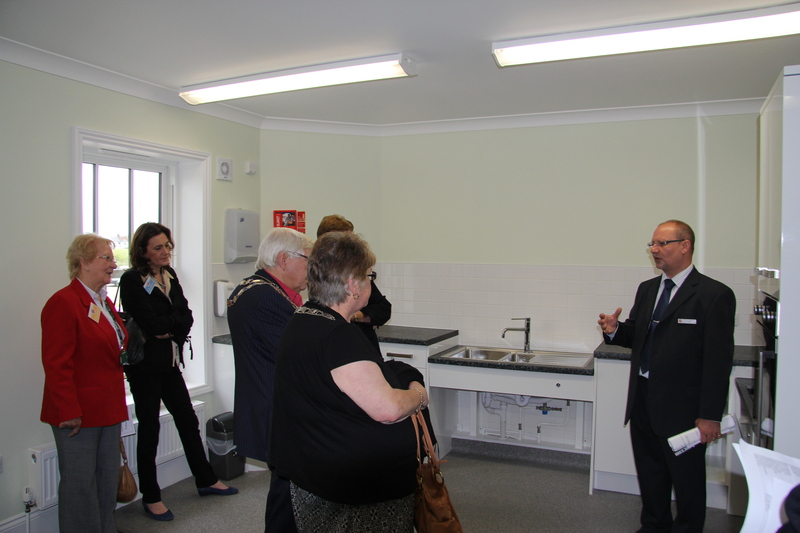 Bradley Craddock, Principal at Training Centre presents inside the new refurbished Park Farm to invited guests. Can remember in the 1930’s visiting Park Farm with my parents to buy apples from their orchards.